Style, unlike business, is personal. Our resident style guy helps you out with five essentials to start with as you go about defining your own style. Every guy’s wardrobe would be much of the same thing. A whole bunch of jeans, dress shirts, a few jackets, perhaps a suit or two (sometimes a.k.a. leftover groomsman threads), the omnipresent jogger, and a whole lot of trainers. What do you see? Is it quality or quantity? Fast-on or fashion? It’s downright sad to see a successful dude in his mid-30s dressing for the amusement park. It is time to figure out what you would like to be when you grow up. Your office wear could be a few barongs, some dress shirts and trousers, shoes that may need a good polish, and a belt that may have outlived its usefulness. The key to building a good wardrobe is having less items that have great quality and fit you well. While I’m still perfecting my ideal abbreviated wardrobe (at this point, I’m pretty sure it’s a lifelong, ever-evolving process), and I still fall victim to the occasional “What was I thinking?” purchase, I’ve gotten better. It is 2019, and I think there’s no excuse for being sartorially challenged. The stores have made even high fashion more democratic, and there is plenty of room in the present to upgrade your wardrobe so that each piece looks like you mean business. No matter what the syle du jour is, certain pieces of men’s clothing are forever. These five items should be on the top of your list as you figure out what your personal style is. The sports jacket or blazer. The blazer is one of most versatile investment pieces you will ever own. 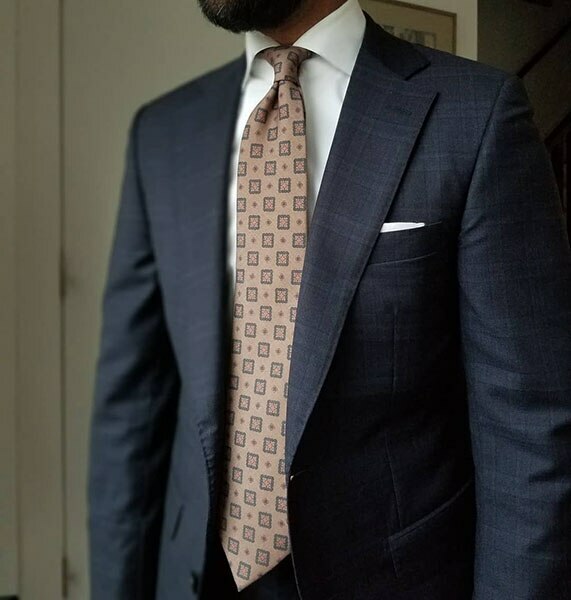 Be it tailored for you by your local “sastre,” or the guys at Ascot Chang, Signet, or Zegna, or purchased off the rack and “taken” in to fit your build, this is a worthy piece to invest in. Having a good jacket will help put any outfit together. I prefer to keep to a two-button blazer, with slide pockets instead of patched—this style easily works with a pair of slacks or dark jeans. According to Kevin Yapjoco, manager of Signet, one of Manila’s top purveyors of gentleman’s clothing, the blazer is a piece of clothing that spells comfort. “Hopsack, a fabric of fine open weave is ideal for the tropics, and it spells an air of casual elegance. In choosing a color, you need not keep to solid navy.” Yapjoco guides clients to shades lighter than blue. It’s “less serious” and it doesn’t look like you broke a suit pair. 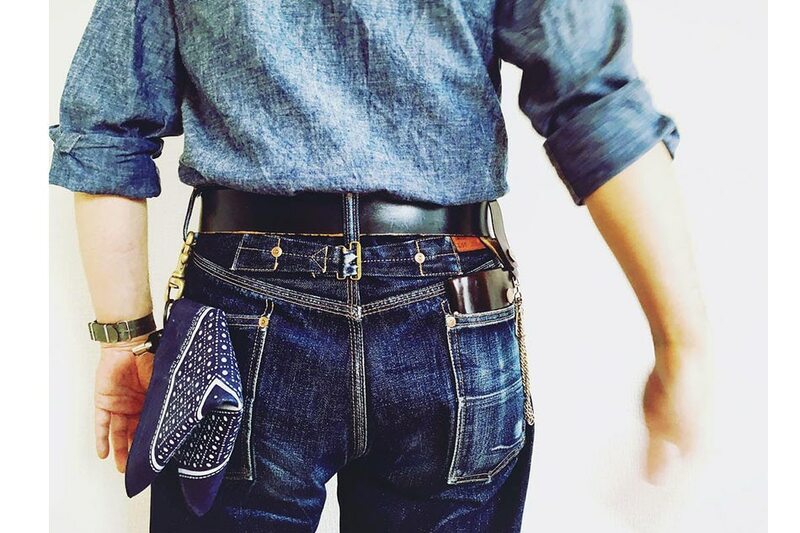 Levis, EVISU or Momotaro, American or Japanese, jeans are standard in any wardrobe. Yet there is a hierarchy, with Japanese denim lording it over everything else. I prefer well-made dark jeans that are as acceptable at work as they are in a club. They’re perfect for everyday, casual activities—from running errands on a Saturday, to meeting friends for drinks and dinner after work. In the creative business, jeans are simple daily wear. If you want to please Marie Kondo and be truly abbreviated, you really only need one pair: dark, raw, unwashed indigo. My go-to denim brand is Levi’s, and I prefer the 501 Tapered or the 502 model. If you have the extra bucks, splurge on a solid Japanese brand. They are pricey, but like a good pair of anything, you only really need one. The true loafer was born in 1926 when King George the VI (of The King’s Speech) requested a London shoemaker to make a pair that he could “loaf” around in. Across the pond, the style caught on, and made its way to small Maine-based GH Bass to create the American loafer—the quaintly named weejuns. The Italians caught on and Aldo Gucci (no less), sleeked up the frumpy weejun into a more luxurious version. 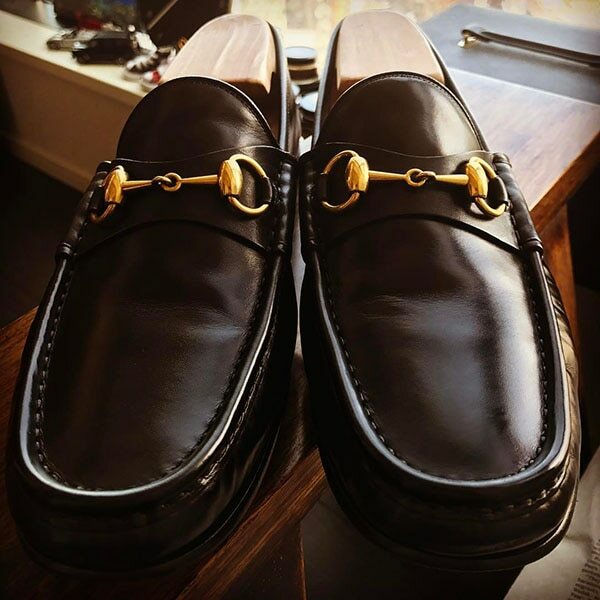 In 1953, the Gucci horsebit loafer rode off the shelves. WASPY Washingtonian lobbyists made them famous as they strode through congress halls wearing their Gucci loafers and expensive suits. So many of them wore their Guccis that the halls were renamed the Gucci Gulch. The slip-on’s flexibility and style have earned it a hallowed place in the costume collection of New York’s Metropolitan Museum. A good pair of loafers is something you will not regret. 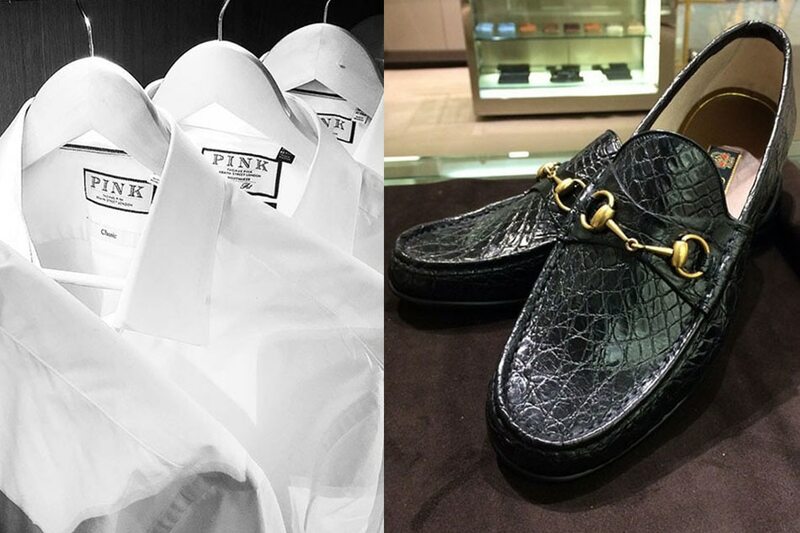 From a pair of Gucci mocs to slim loafers like those offered by Baudoin and Lange, Del Toro or Stefano Bemer, to great finds at Zara, Massimo Dutti and Traffic, loafers make for a kicking pair that will help you stride along. We all have had a long relationship with this one. We wore it to our first communion and our moving up days. During various “formal events,” we dressed it up with a tie. For us born in the era of tetoron, the white long sleeve shirt was our friend. 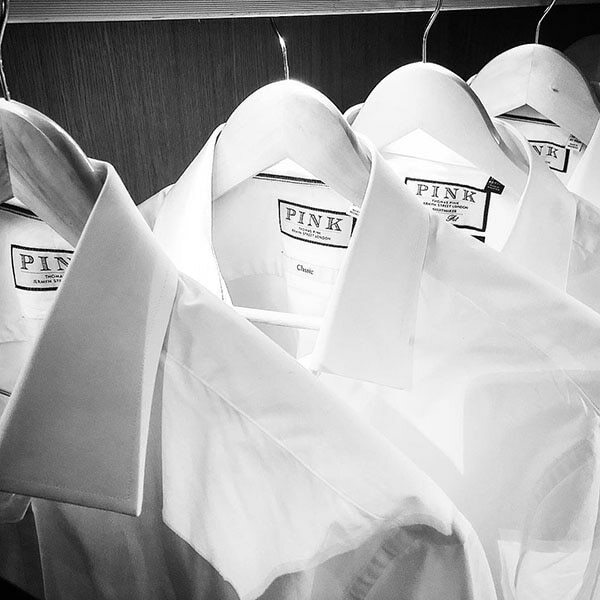 A far cry from the threads of our youth, the white dress shirt today can be tricky, and will take a lot of research. You need to consider your overall girth, the length and the type of collar based on your neck. The best shirts allow a full range of motion, fitting comfortably around your chest, across your back, and under your armpits. If you have selected a shirt with a slim cut, it should be snug rather than tight. On the shoulders, check where the sleeve of the shirt attaches to the body. This seam should sit comfortably near the top of your shoulders; it should not ‘pull’ or billow. A tight collar can ruin the whole look so this should be comfortable but not roomy. See if you can button it easily and if you can slide two fingers inside: fewer than two and it will be too snug, more than two and it will be too big. Your next step would be to choose the appropriate collar. There are three main collar types: pointed, spread, and buttoned down. And though it may seem like a small detail, the collar that you choose can have a big effect on your overall look. Shorter guys should prioritize a crisp, streamlined look wherever possible. They can achieve this by avoiding a button-down or a spread collar, as these create the impression of width rather than height (Pro tip: a button-down is never formal). For a guy with a heavier build, a pointed collar can be slimming and flattering for a wider face. If you’re the tallest guy in the room, a spread collar might be a good bet as it will create a sense of balance. I always recommend a white shirt, with a spread collar and French cuffs. Cufflinks would provide a nice touch. If you have the shirt made slimmer, it will go well with a suit, as well as jeans. The only allowable jewelry in a man (after his wedding and signet ring), the utilitarian watch has become the true barometer of wealth and style. I know very wealthy individuals who wear smart watches or chronos that people can actually afford. But I think much merit has to be given to those who are more astute about timepieces. They treat it with reverence, and view it as heirlooms. Hence, the able chase for just the right vintage watch. Looking for one may be a challenge, but I think it would be a good piece to have as you re-think your wardrobe, and discover your style. Vintage watches are more pre-loved than antique in the strict sense. The purchase of this type of timepiece is always fraught with issues of provenance. Buying one needs some savviness. Like any princely purchase, have it checked by experts. If you like it and it isn’t going to break the bank, take it. Purchase for fun. Go to Makati Cinema Square, Quiapo, or scour the auctions. I love my vintage Zenith. It brings me a lot of happiness because it was part of a wild chase. 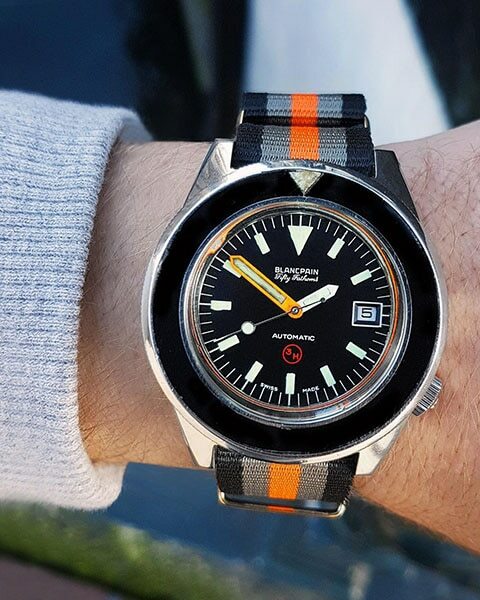 Remember there is an enormous variety of really interesting vintage watches out there, from a greater number of (often reputable) venues than ever before, and it has never been easier to find something that will match your tastes, particular interest as a collector, or budget. You stand as good a chance as anyone of seeing your collection grow in value—or not, depending on the vagaries of collecting. Collect for love and not for future profit. Don’t give up pleasure for commerce. So there you have it. Five items that can change the way you feel about yourself. Confidence, dear reader, I cannot teach, but swagger? I have a tip or two for you. Just remember the key to a good wardrobe is that it should be timeless, and every piece should fit well. Quality and select items can go from season to season, and still be relevant. The items should be cut well, and made with good fabric. Why buy six of something when one is enough?